Ask any South Indian, what is his/her favorite breakfast? I am pretty sure Idli or Dosa will top the list along with Ven Pongal accompanied by a version of Coconut chutney. These are the dishes that defined our care-free childhood days. These are also the dishes we tend to go back to for comfort, time and again in some form or fashion. 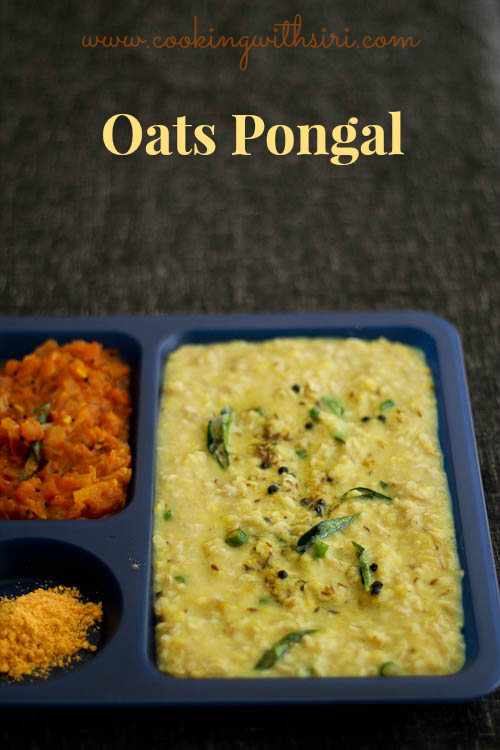 Today's post is about Oats Pongal, an incarnation of a traditional white rice cooked with mung dal and black peppercorns recipe. 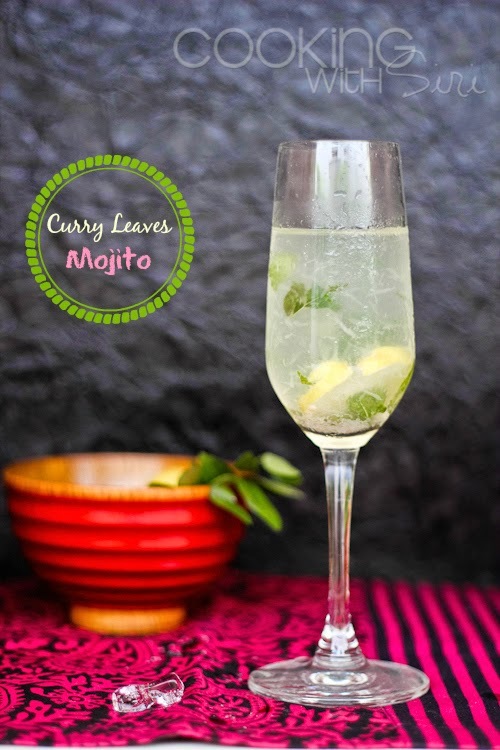 It is super simple to make, perfect for busy weekdays. 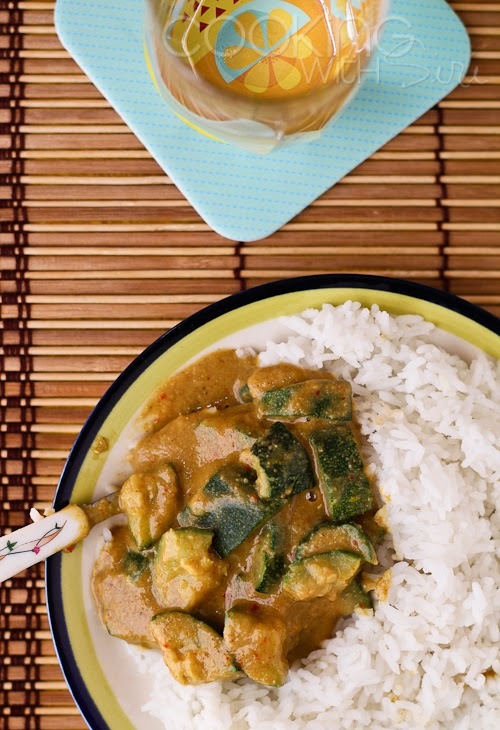 A touch of ghee, grated ginger and curry leaves makes it flavorful just like its original version. The consistency of the pongal is purely of personal choice. I like mine a bit soupy while there are others who would want a little thicker. 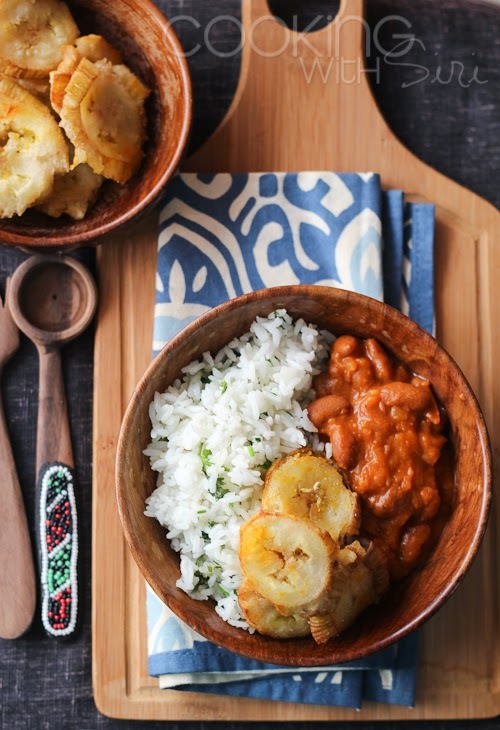 Adjust water quantity and play with various mix-ins (mentioned in the recipe below) and you have a healthy, one pot meal (for breakfast, lunch or dinner) ready in minutes. Now, a spicy side like a simple Tomato Gotsu makes the pongal even more enjoyable. 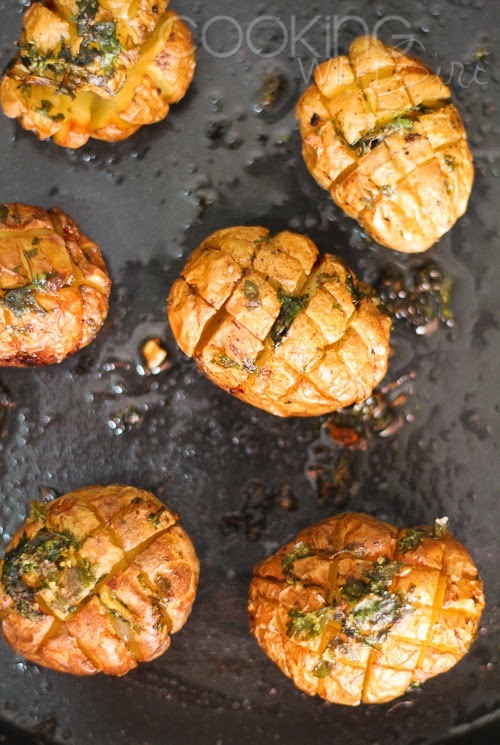 If you are short on time, a blob of Indian pickle or a handful of potato chips work too. Enjoy! Make Ahead Notes: On busy days, I cook the mung dal ahead of time and store in the refrigerator in an air tight container. This simple prep cut downs the cook time by more than half. Optional Mix-ins: To boost the flavor of this simple recipe, you can add fried nuts such as cashews, peanuts, all kinds of fresh/frozen vegetables and chopped greens like spinach, kale etc. Pressure cook mung dal with 1.5 cups of water and turmeric for 3-4 whistles. Let the pressure subside naturally. Alternatively, cook the dal on stovetop on medium heat until it turns mushy. In a pan, dry roast oats, stirring them often until they turn fragrant i.e for around 6-7 minutes. Add 2 cups of water, reduce to low heat and cook for 4-5 mins. Now, add cooked dal and salt. Mix everything together, cover and cook for 5 more mins. To make the tempering, in a small pan heat ghee and add black peppercorns, cumin seeds, asafetida, ginger, green chilli and curry leaves. Once they start to sizzle in a few seconds, add to the oat-dal mixture. Give it a good stir and Serve with Tomato gotsu (recipe below), pickle or any side dish of your choice. Heat oil in a pan. Add urad dal and mustard seeds. Once they start to splutter, add green chillies and curry leaves. Saute for 30-40 seconds. Then add onion and cook on medium-low heat until lightly browned. Next add tomatoes and mix well. Season with turmeric powder, chilli powder and salt. Mix. Add 1 cup water and cook on high heat. On the side, mix rice flour with 1 tbsp water till smooth. Add it to the tomato mixture and cook till thick. Serve hot with pongal, idli or dosa. 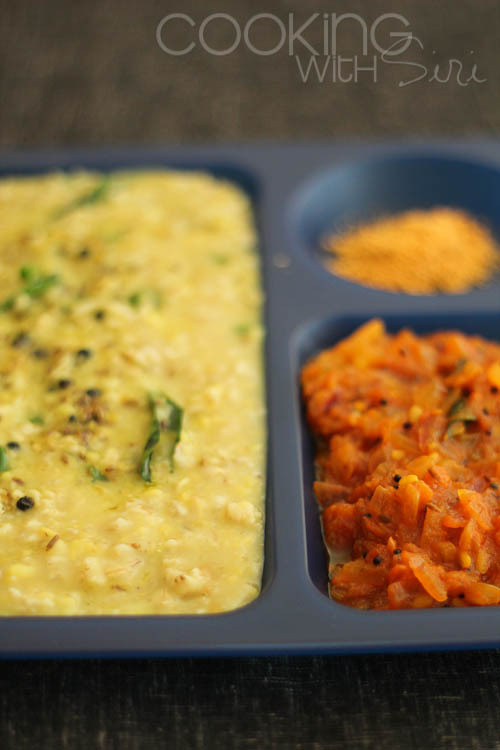 Check out my blogger friend Nandita's (of Saffron Trail Kitchen) video of Oats Pongal, very similar to what I posted today. 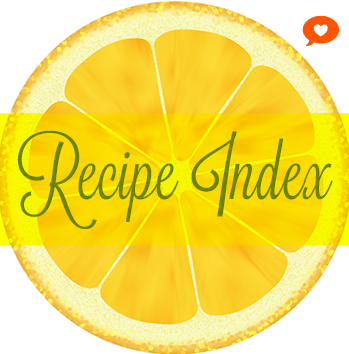 This recipe joins June Week # 1 of Cooking from Cookbook Challenge Group. Lovely pictures Siri, I have made a version of Oats pongal and upma too. 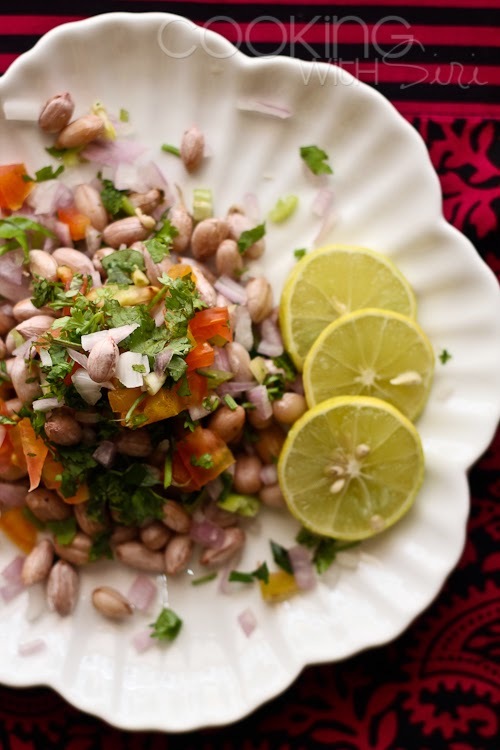 Guess the love we have for these two dishes makes us want to try different recipes..:).. This is one of our family favorite, even both my kids love it. Your clicks are very inviting Siri.